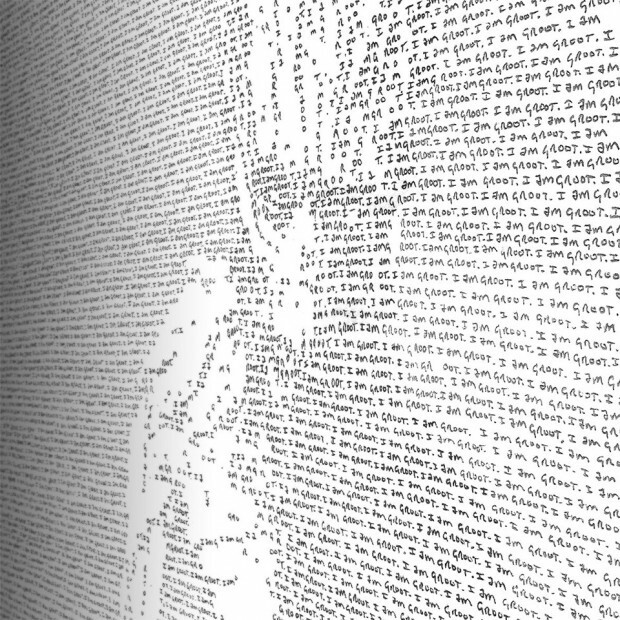 Artist Mike Matola is known for his intricate images that are made up entirely of tiny, handwritten words. 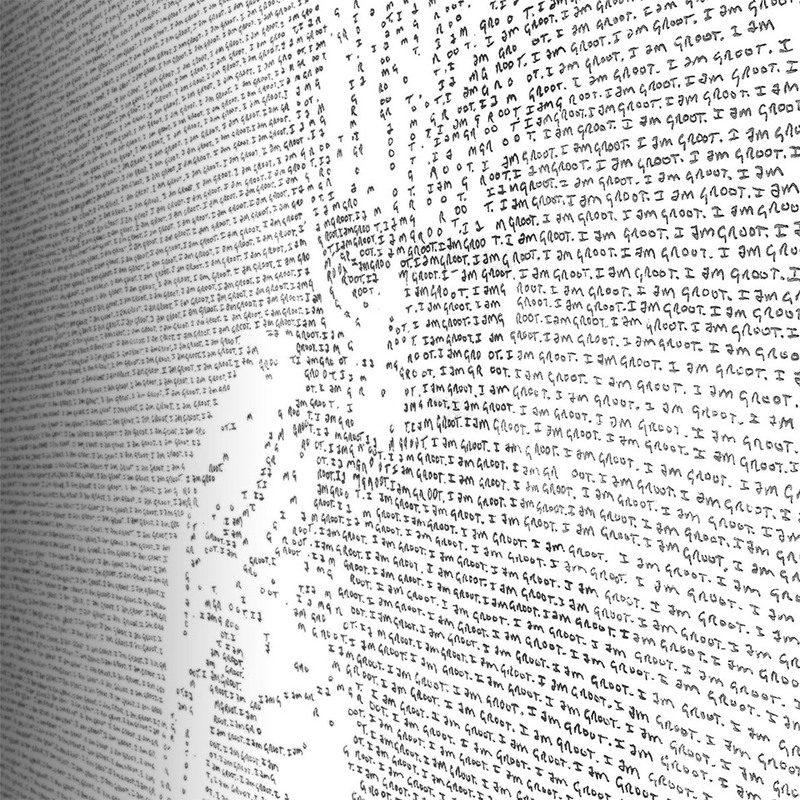 With thousands of letters in each of his illustrations, I get hand cramps just looking at them. 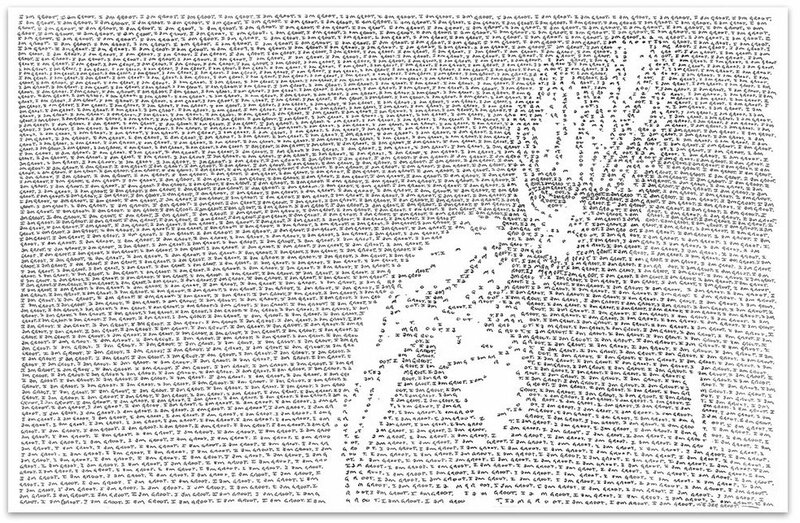 While he has lots of amazing prints in his Etsy shop, I particularly love this I Am Groot image, which was recently spotted by Guardians of the Galaxy director James Gunn. 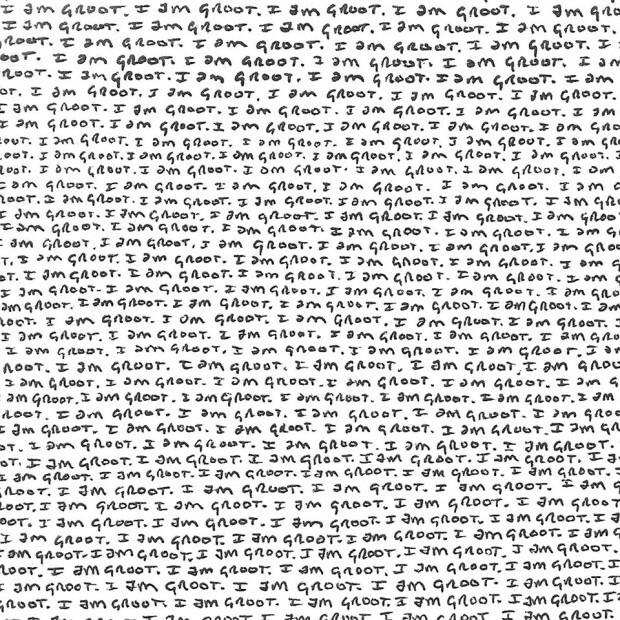 Unlike most of his images which consist of thousands of different words, this image is made up entirely of the phrase “I Am Groot.”repeated endlessly. Still, I bet each instance actually has a completely different meaning. Best of all, you can own a copy of this print for just $20(USD). Just pop by LineByLinePosters’ Etsy shop to buy yours now. 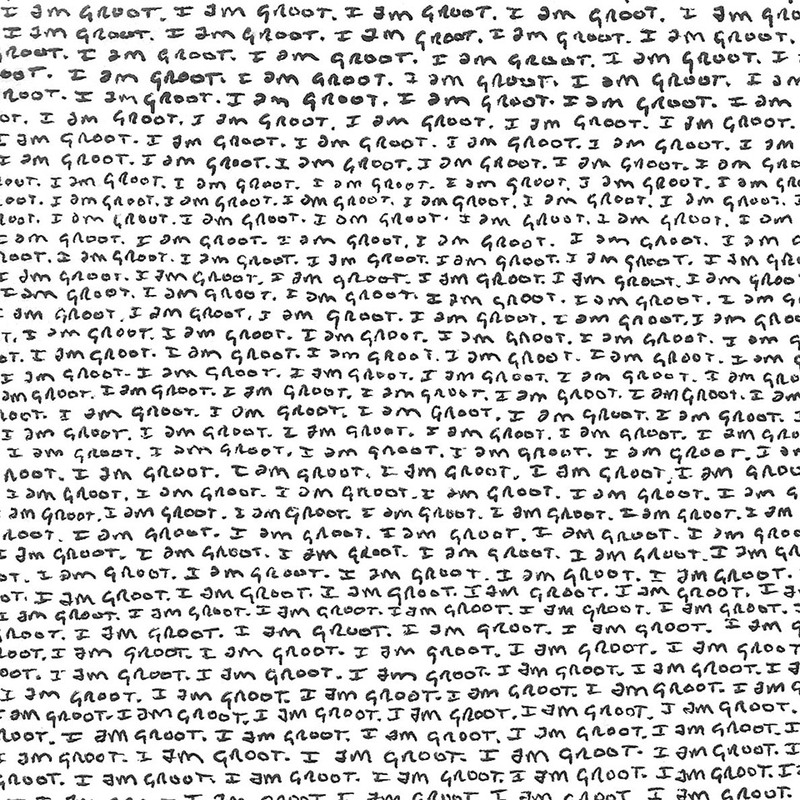 While you’re over there, be sure to check out is Ghostbusters and TMNT prints too.